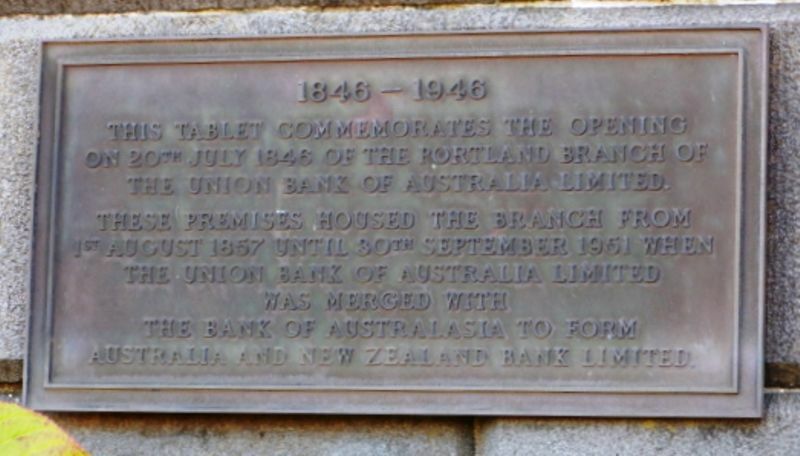 The plaque commemorates the opening of the Union Bank in July 1846. The Union Bank Of Australia Limited. The Australia And New Zealand Bank Limited.